EDIT: I’ve updated the list. You can find it here – 4WD Accessories in Perth. 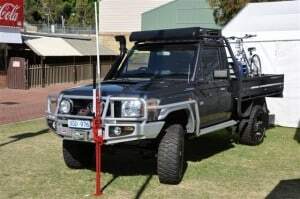 If you are looking for 4wd Accessories in Perth, you are in the right place. There are many stores that sell four wheel drive equipment, and I have made a list of these below. Don’t be afraid to shop around, and compare prices from several different stores. You might just surprise yourself in how much variation there is! Most of all, find a business that is going to help you achieve what you want with your four wheel drive. At the end of the day that is why you add accessories isn’t it! If I have missed any of you off the list, please leave a comment and I will add it as soon as possible. Dont forget me up here in wangara.